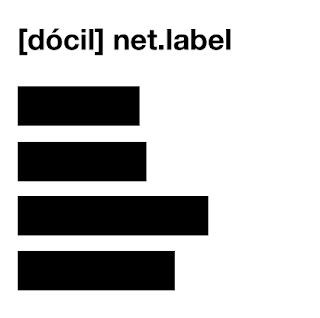 Docil was created in 2013 as a continuation of the original nelabel audio: 808 founded and curated by Roberto Massoni in Buenos Aires, Argentina in 2008. Docil is a netlabel of uncertain aesthetic, it is constructed and de-constructed with each new release. Sound crosses comprise elements inherited from the ambient, minimalist sequences,pop perverted by the use of the sampler, pulse dance for people who do not dance and organized noise among many other edges.